This film gives you helpful tips on care with the immobilisation orthosis medi Easy sling. 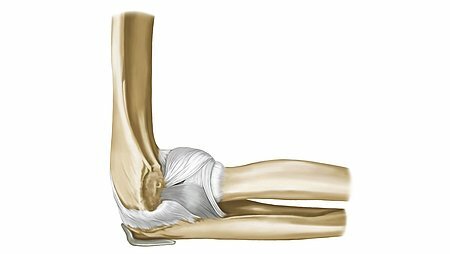 Once the orthosis has been adjusted properly, you can don the product alone after the operation. 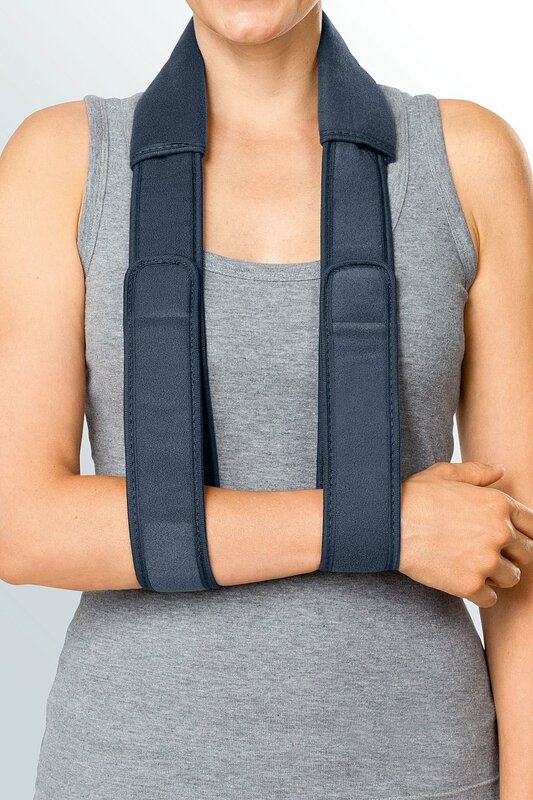 The modular construction of the medi Easy sling enables it to be worn in different ways. Please discuss which configuration is best for you with your doctor beforehand. Immediately after the operation and during the night, you should wear both the waist belt and the shoulder strap. First put on the waist belt by holding the end without the Velcro fastener and clamping it carefully between your elbow and your upper body under the affected shoulder. Now hold the other end of the waist belt and close the belt below the chest. Pass the belt around your neck and make sure that the neck pad passes around your neck. Place the arm of the affected shoulder carefully in the loops of the belt. Fasten the shoulder strap above your forearm with the help of the Velcro strip on the waist belt. In consultation with your doctor, you can start only wearing the shoulder strap during the day as you progress. If you find it uncomfortable wearing the shoulder strap around your neck, you can change the setting of the strap. 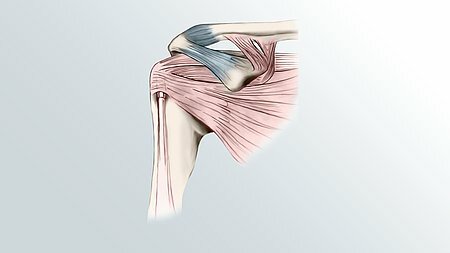 Put on the shoulder strap by holding the end and clamping it carefully under the affected shoulder between your elbow and your upper body. Then pass the strap over the healthy shoulder and fasten the Velcro fastener around your wrist. Now fasten the free end in a crosswise direction. The orthosis can be washed in cold water and mild soap suds. Then allow the orthosis to air dry. To do this, take off the shoulder strap and carefully let your arm swing to and fro. Here you can find more information about the medi Easy sling shoulder immobilisation support.